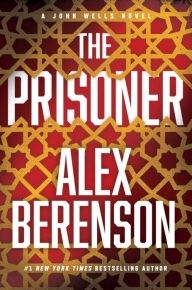 VJ Books Presents Author Alex Berenson! Alex Berenson was born in 1973 in New York and spent his childhood in Englewood, N.J. He attended Yale University, where he earned bachelors degrees in History and Economics. Following graduation, he began working as a reporter at the Denver Post. 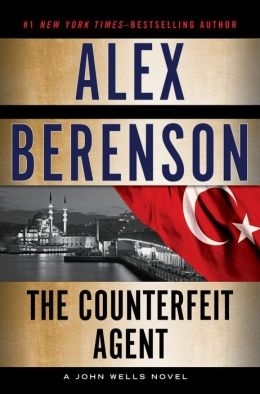 Berenson has also worked at financial news website TheStreet.com as well as The New York Times. At The Times, he covered the pharmaceutical industry and Hurricane Katrina, among other things and was a war correspondent in Iraq. His experiences reporting in Iraq inspired him to write The Faithful Spy (2006), and he has since transitioned to writing books full time, although he still contributes the occasional piece to The Times. 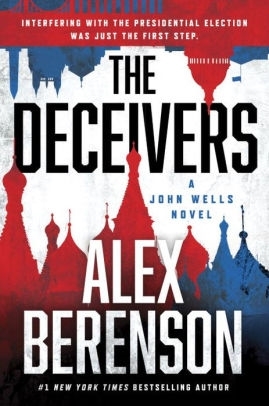 The Faithful Spy won Berenson an Edgar award for Best First Novel, and the John Wells series now constitutes a dozen novels. He has also written multiple non-fiction titles. Berenson lives in Garrison, N.Y. with his wife, Dr. Jacqueline Berenson, their children, and two dogs. Author Signed Hardcover Book. February 2014 NY: Putnam First edition, first printing, mint, new/unread in a flawless dust jacket, signed by the author. Each dust jacket is protected in an acid-free archival quality acetate cover. Author Signed Hardcover Book. February 2014 NY: Putnam First edition, first printing, fine in a fine dust jacket, signed by the author. Each dust jacket is protected in an acid-free archival quality acetate cover. Author Signed Hardcover Book. February 2018 NY: G.P. Putnam & Sons First edition, first printing, mint, new/unread in a flawless dust jacket, signed by the author. Each dust jacket is protected in an acid-free archival quality acetate cover. Author Signed ARC 2006 NY: Random House Advance Reading Copy, fine in near-fine pictorial wrappers, signed by the author, signed by the author. Debut thriller! Author Signed Hardcover Book. February 2008 NY: Penguin First edition, first printing, fine in a fine dust jacket, signed by the author. Each dust jacket is protected in an acid-free archival quality acetate cover. 2010 NY: Putnam Advance reading copy, mint, new/unread in pictorial wraps. Author Signed Hardcover Book. February 2015 NY: Putnam First edition, first printing, mint, new/unread in a flawless dust jacket, signed by the author. Each dust jacket is protected in an acid-free archival quality acetate cover. Author Signed Hardcover Book. February 2016 NY: G.P. Putnam's Sons First edition, first printing, mint, new/unread in a flawless dust jacket, signed by the author. Each dust jacket is protected in an acid-free archival quality acetate cover.